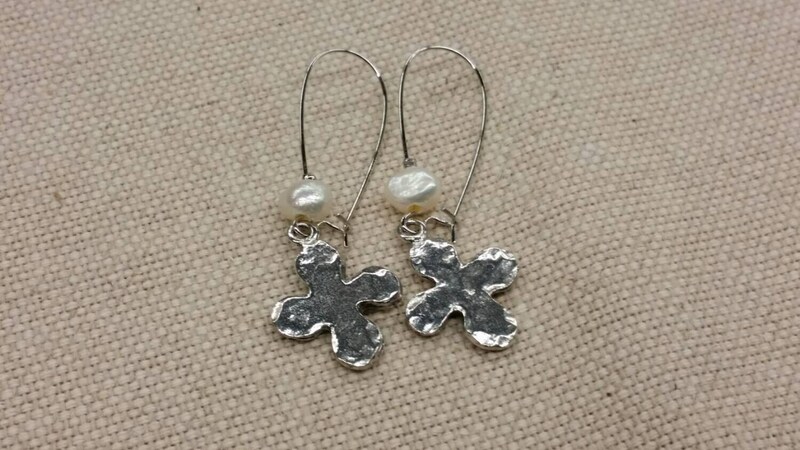 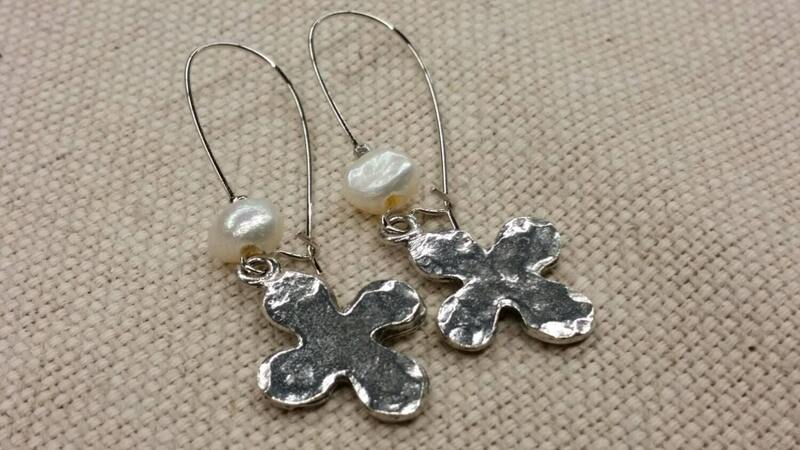 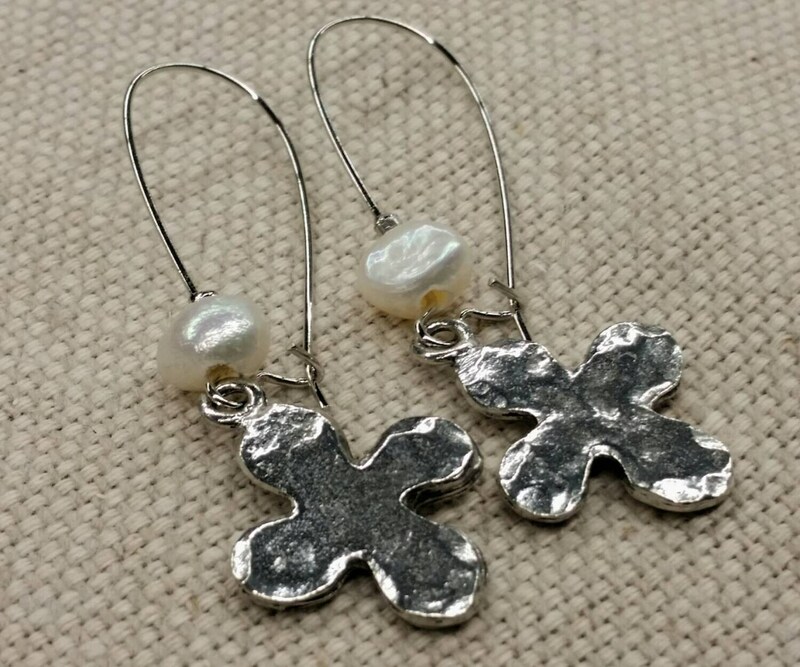 Special - free shipping Earrings Pewter Cross with Pearls. 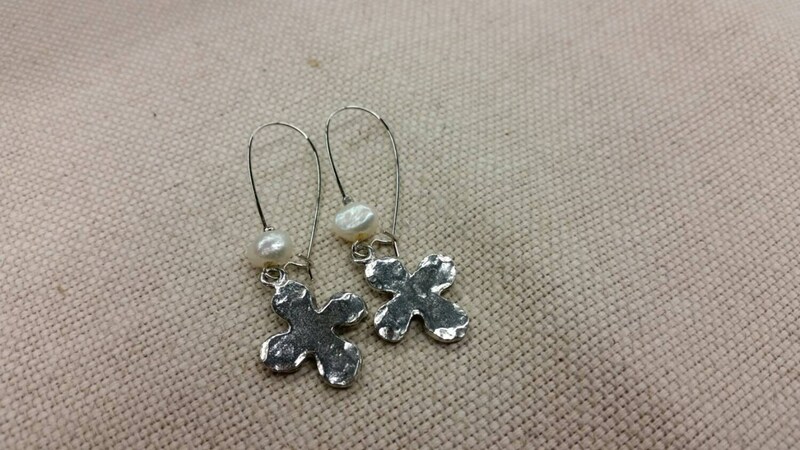 Earrings Pewter Cross with pearls. 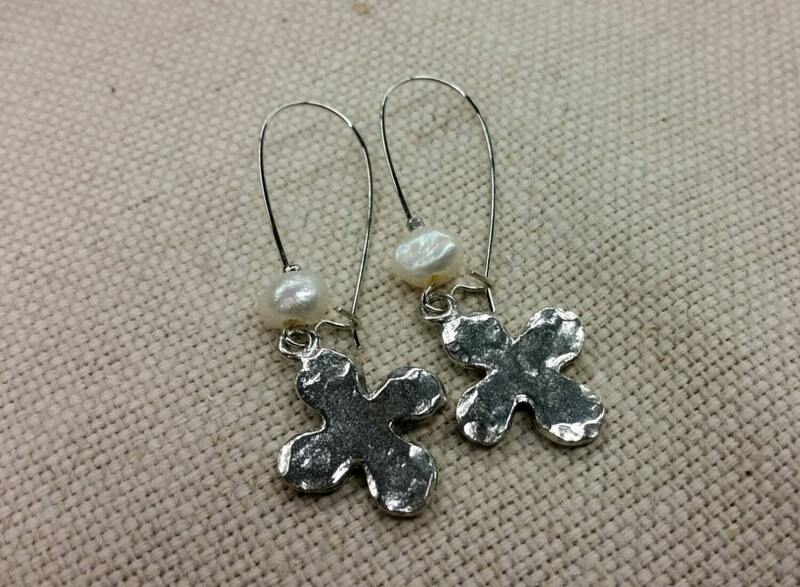 Size is 3/4 " wide and hangs down 2 inches.